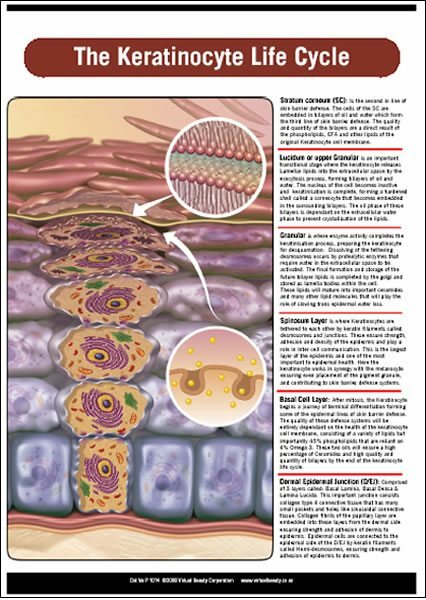 Shows the major structures and components of the human skin from epidermis to dermis. 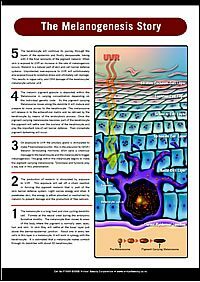 This vibrant poster shows the cascade of events that lead to cell damage from UV exposure. 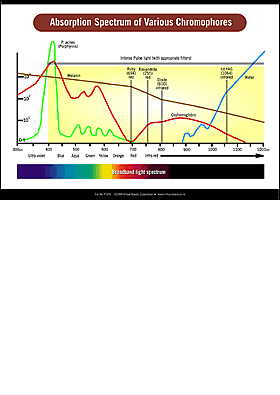 Shows the penetration depth for the light spectrum. About the effects of UV radiation to the different layers of the skin and the effective depths of Intense Pulsed Light and laser treatments. 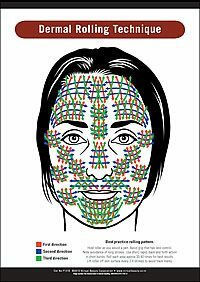 A valuable tool for all technicians working with a wide variety of skin colours. 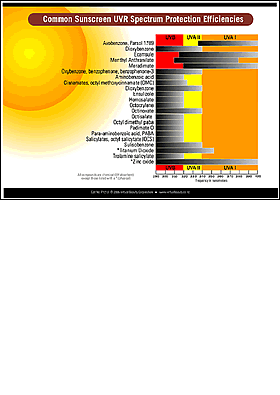 Shows risk/potential outcomes for light based and chemical modalities. 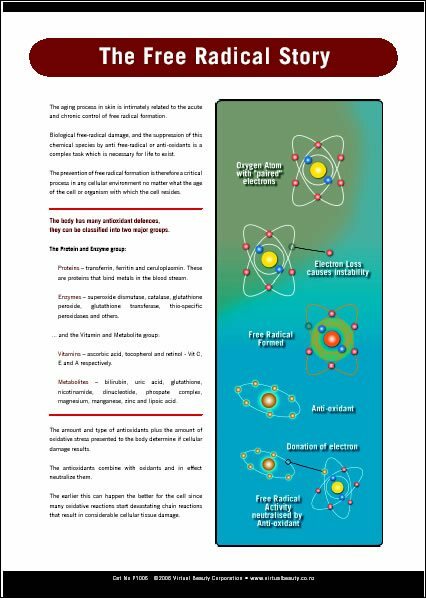 A great storyboard that explains what Free radicals are and how to combat them with anti-oxidants. 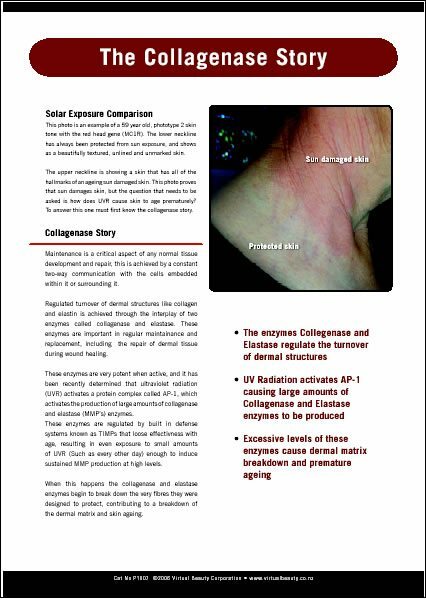 This dramatic poster shows the difference between unexposed and UV exposed skin on low Fitzpatrick type skins. Also shows UV exposure and the activation of AP-1 triggering collagenase and elastase enzyme production. 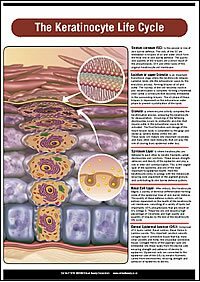 A fantastic educational tool to help promote the use of sunscreen. 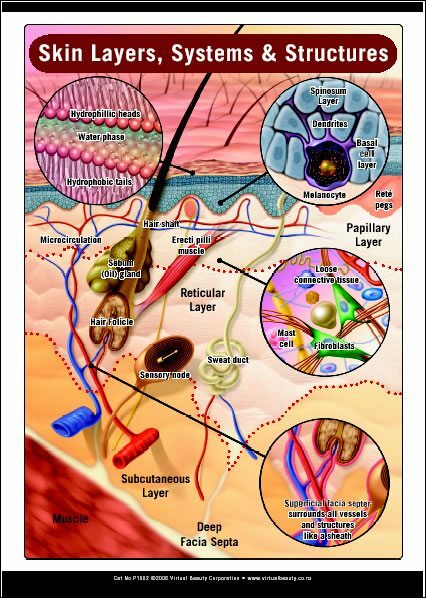 Shows the various stages of Melanogenesis, the formation of the pigment and the enzymic transitions that occur. 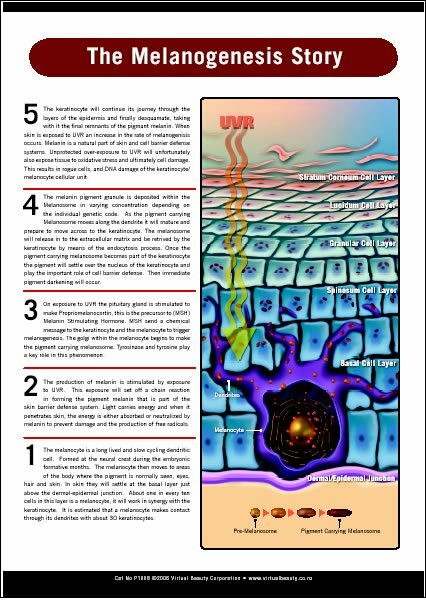 Shows the six stages of the Keratinocyte life cycle, the formation of the cells and the enzymic transitions that occur. A detailed description about the formation of the epidermis and the skin barrier defence systems. 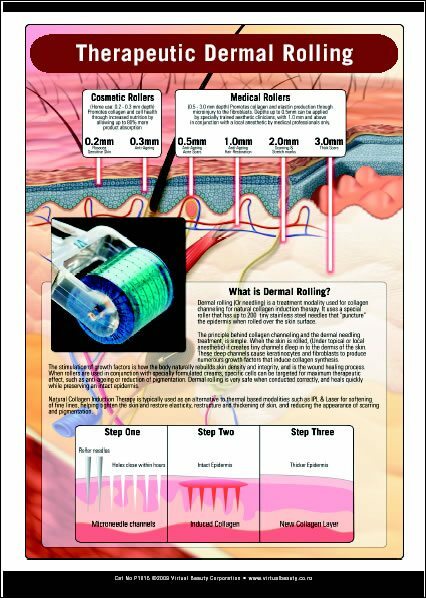 Describes the principles of dermal rolling (or needling) and gives visual indications of depths of penetration along with intended use. 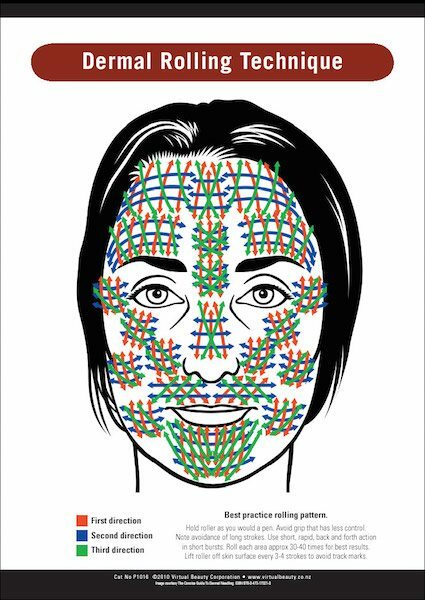 Demonstrates the “best practice” pattern technique for dermal or skin rolling. This technique was developed by Dr Lance Setterfield MD, the author of the best selling book, “The Concise Guide To Dermal Needling”. 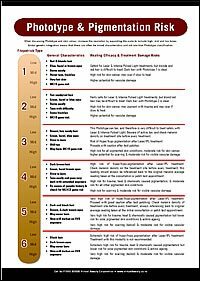 A great explanatory tool for Intense Pulsed Light Technicians. 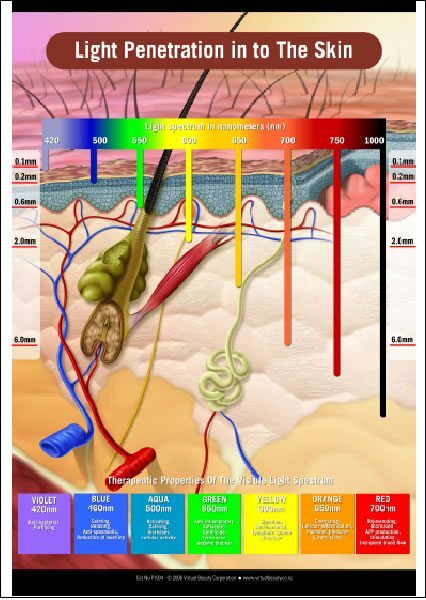 The chart shows the two forms of light based hair removal and rejuvenation modalities (Laser and IPL) and their efficiency at different chromophores. 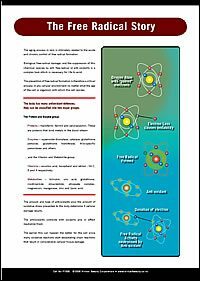 A great educational tool for electrologists and Intense pulsed light technicians. 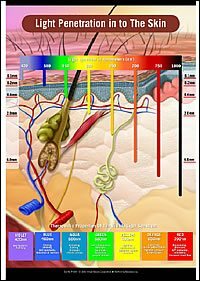 Fully details the four stages of hair development. 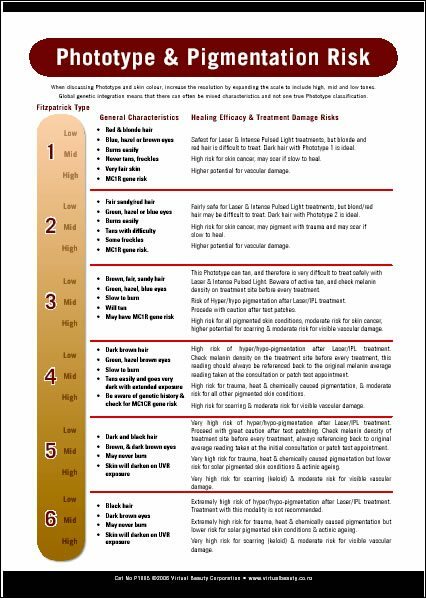 A great explanatory tool to demonstrate the protection efficiencies of various common sunscreens. 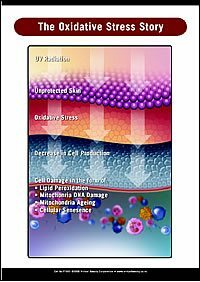 Great for educating clients to the dangers of sun exposure with the wrong type of sunscreen, and evaluation of formulation suitability.